Both the N0̸ and the P3 have their advantages, the choice between them should be based on the given fishing conditions. My usual trout fishing setup is the N0̸ and either the P5 or the P4. With the combination of two rods I can master all trout fishing situations optimally. I use the N0̸ for euro nymphing and the P4 or P5 for everything else (dries, streamers, traditional nymph techniques). I fish one of the rods and carry the other in a rod tube attached to my backpack. If I want to change the method I have to go to the bank, take one rod apart, rig the other and go back in the water. This is not much of a problem if the days are long and you have a lot of time to fish. When the days are short and the fish are only active for 2-3 hours, this procedure may become cumbersome as you loose too much valuable fishing time. The need to cope with these situations led to the development of the P3. The N0̸ is slightly better for euro nymphing, as it is longer and finer. You can reach a bit further and control the drift a bit better. If you cast a team of flies or a slightly heavier nymph (size 6-16) with the matching tungsten head on a monofilament leader only the P3 is fine enough for that. But if you have to fish small single nymphs (size 18 and smaller) the N0̸ has an advantage for sure. For me the N0̸ is not a good rod for dry flies, although some of our customers happily use it for that. I need more authority to make proper slack line casts. The P3 is an excellent dry fly rod. It is different than the P5 but I think they are equal, although their strongest sides are a bit different. The P3 is better to present small flies while the P5 is more comfortable to cast the bigger ones. Obviously the P5 is a better streamer rod but if the situation demands the P3 can cast smaller streamers too. For traditional nymphing techniques both the P3 and the P5 can be excellent. The P3 is probably not the best for big indicators but for sight fishing up and across and similar methods it is exceptional. 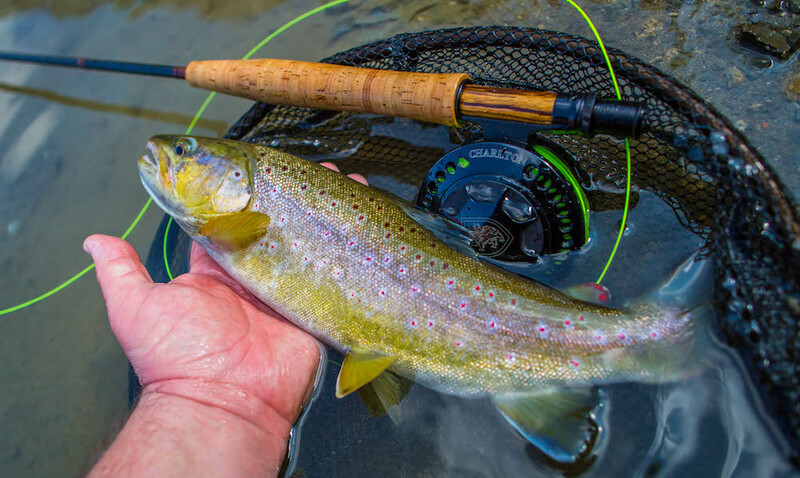 Both the N0̸ and the P3 have an unreal rate of holding hooked fish: in an April afternoon while testing the the P3 in Slovenia on the river Savinja I hooked ca. 15 good fish using size 17 dry flies and a small streamer tied on a size 12 hook and only lost one single rainbow trout. The N0̸ has a similar rate. The bottom line is if you want to have the best tool for every situation and you don’t mind carrying two rods and changing them while fishing, the combination of the N0̸ and the P4 or the P5 could be the ultimate choice. 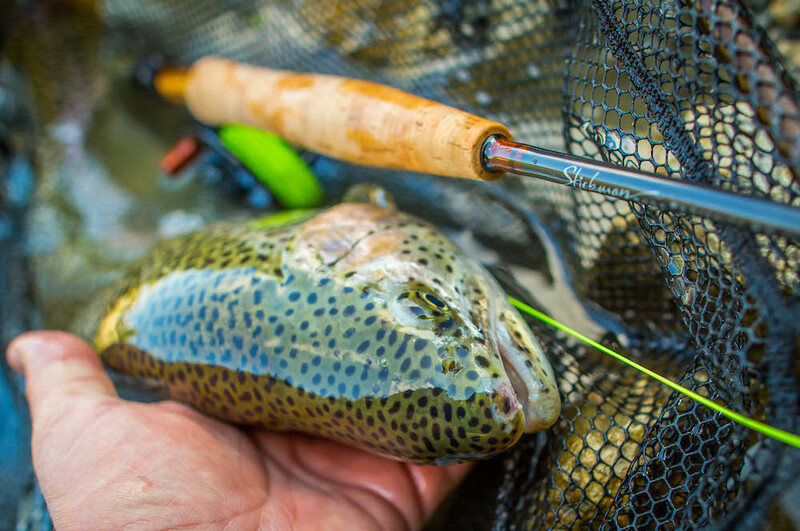 If you want to save time and have a rod in your hand that can do everything very well and is probably the best for small dries and some of the traditional nymph techniques, you should choose the P3.